Haploidentical stem cell transplantation (haplo SCT) has emerged as an acceptable alternative to matched family donor transplantation for children diagnosed to have primary immune deficiency disorders (PIDs). We present data over 4 years on the challenges and efficacy of unmanipulated T cell replete haplo SCTs with post-transplant cyclophosphamide (PTCy) in children diagnosed to have PIDs. We performed a retrospective study in the pediatric blood and marrow transplantation unit where all children less than 18 years of age diagnosed to have PIDs and who underwent haplo SCT with PTCy from January 2014 to February 2018 were included in the study. Of the 16 transplants included in the study, 5 children were diagnosed to have Wiskott-Aldrich syndrome, 3 with congenital hemophagocytic lymphohistiocytosis, 2 each with Griscelli syndrome and Mendelian susceptibility to mycobacterial diseases, and one each with Chediak-Higashi syndrome, ORAI 1 mutation immune deficiency, severe combined immune deficiency, and Hyper IgM syndrome. The source of stem cells was PBSC in 62.5% and bone marrow in 32.5%. Engraftment by day 16–21 post hematopoietic stem cell transplantation was achieved in 75% transplants with 91% of these remaining in sustained complete chimerism. Acute skin and gut graft versus host disease of grade 2–3 were noted in 50% transplants and cytomegalovirus (CMV) reactivation in 43.7% transplants. One child with congenital HLH succumbed to refractory CMV, adenovirus, and BK virus infection. Cytokine release syndrome (CRS) was noted in 75% transplants with 2 children succumbing to the illness. Tocilizumab was successfully used early in one child. Overall mortality was found to be 37.5% with overall survival of 62.5% with a median follow-up of 23.3 months. In resource limited settings, PTCy has the potential to provide a cost-effective advantage in terms of accessibility of this curative procedure among children with PIDs. We would like to acknowledge the immense support provided by the pediatric critical care team, the infectious disease specialists Dr. Abdul Ghafur and Dr. Vidyalakshmi, and the stem cell pheresis team in the management of these children. All co-authors have reviewed the manuscript and have contributed in a substantive and intellectual manner to the work described. Luznik L, O’Donnell PV, Ephraim JF. Post-transplantation cyclophosphamide for tolerance induction in HLA-haploidentical BMT. Semin Oncol. 2012;39(6). https://doi.org/10.1053/j.seminoncol.2012.09.005. Rastogi N, Katewa S, Thakkar D, Kohli S, Nivargi S, Yadav SP. 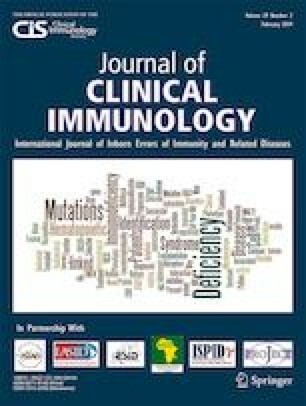 Reduced-toxicity alternate-donor stem cell transplantation with posttransplant cyclophosphamide for primary immunodeficiency disorders. Pediatr Blood Cancer. 2018;65. https://doi.org/10.1002/pbc.26783.